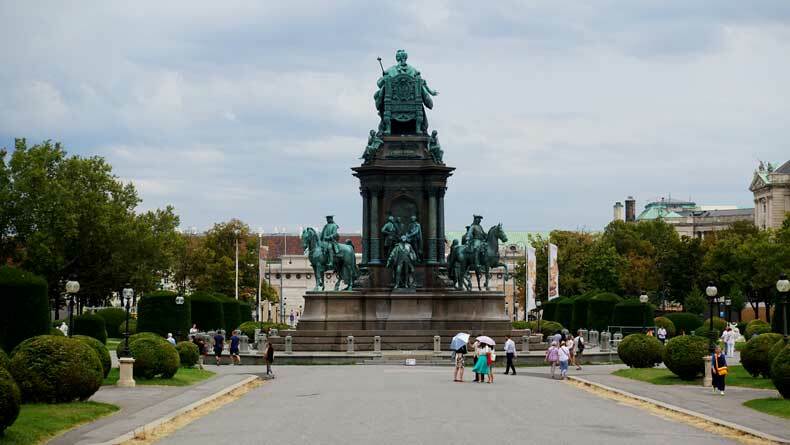 Vienna, Austria is known worldwide as one of the greatest cultural experiences in Europe. The capital city has a rich history and was once home to some of the greatest artists and musical composers of all time. So naturally, I had to find a way to squeeze this incredible city into our last European trip. Our trip also included Germany, Poland, and Czech Republic. 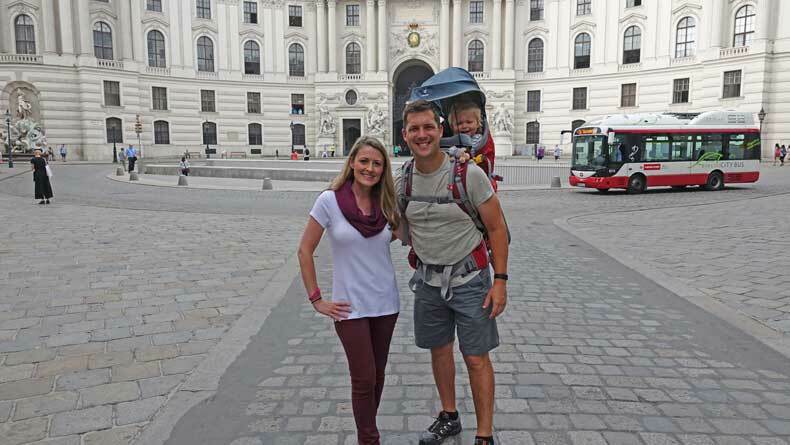 It was a whirlwind drive across central Europe that included numerous cities, so we only had a short amount of time to explore Vienna. 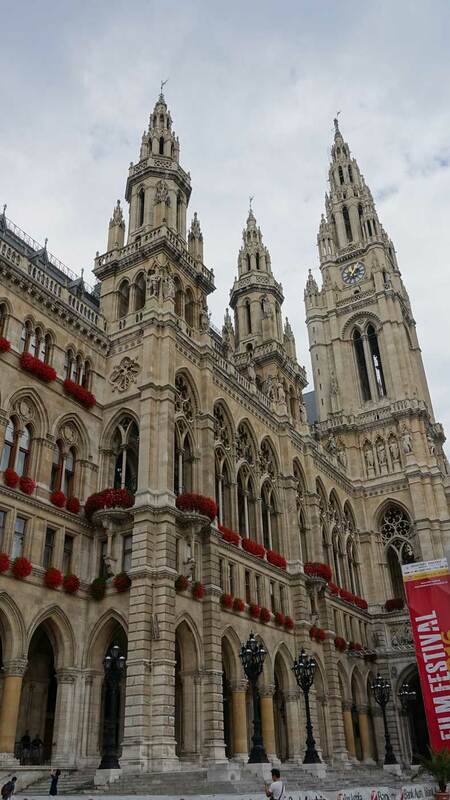 Although we stayed two days, I laid out an itinerary for one day in Vienna, as we did most of our sightseeing on the first day. In such a short amount of time you will not be able to see everything, but you can see a good amount of the city if you plan your day right. Staying a bit longer? 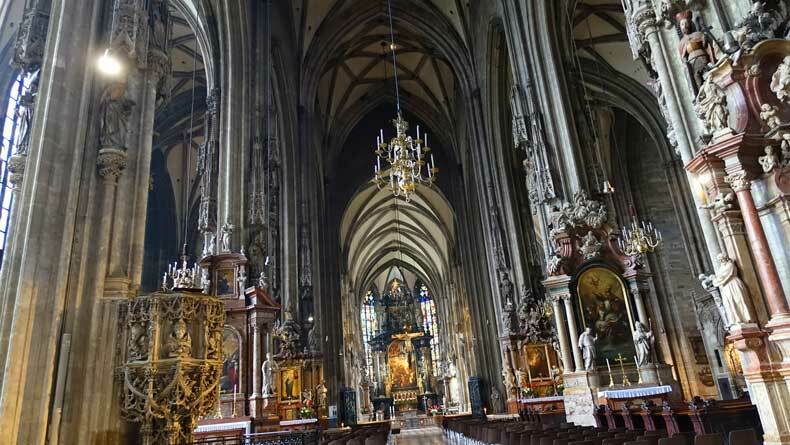 Here are more of the top attractions in Vienna you won’t want to miss. Because there is so much to see and do in Vienna, I would recommend giving yourself more time than we did. Three days in Vienna would be a good amount of time to explore this amazing city. 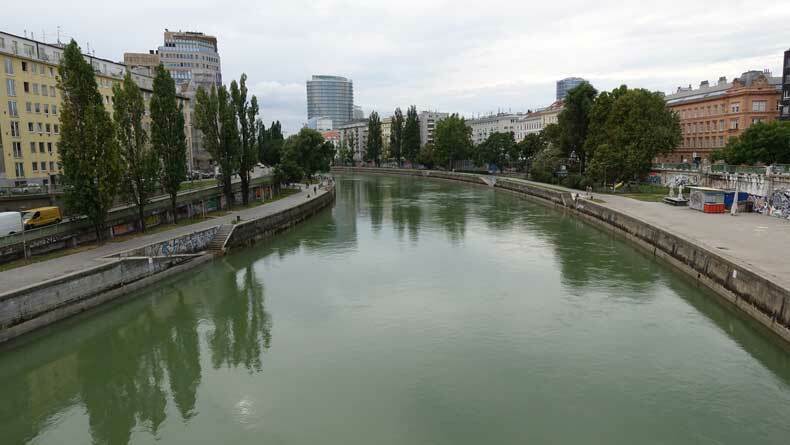 You could see a lot more of the tourist attractions in Vienna and even some of the lesser known places that are more off-the-beaten path. Whether spending just one day in Vienna or many more, choose a hotel that is conveniently located. We stayed at the Hotel Beethoven Wien, which in my opinion has the perfect location and a really cool vibe. CHECK OUT OUR FULL POST ON HOTEL BEETHOVEN WIEN HERE. You will be able to see much more if you start your day early… and I mean really early. This is a lesson I learned from my toddler, but if you get up and and leave the hotel shortly after the sun comes up, you will miss all of the long lines and fit much more into your schedule. 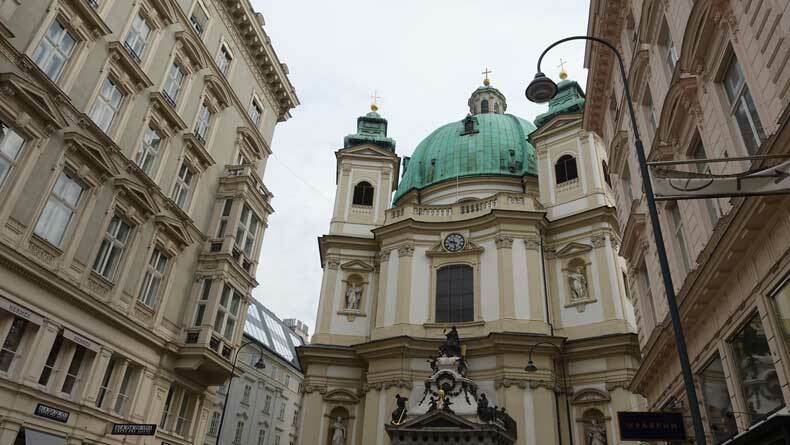 Before you visit Vienna, check out this comprehensive guide to help you plan your trip. As I mentioned earlier, Vienna is a city of culture, incredible European history, and awesome food and coffee. There are a lot of things to do in Vienna and this itinerary is going to cram a lot into a day in a Vienna. If you only have one day in Vienna, start your day early to miss the crowds. 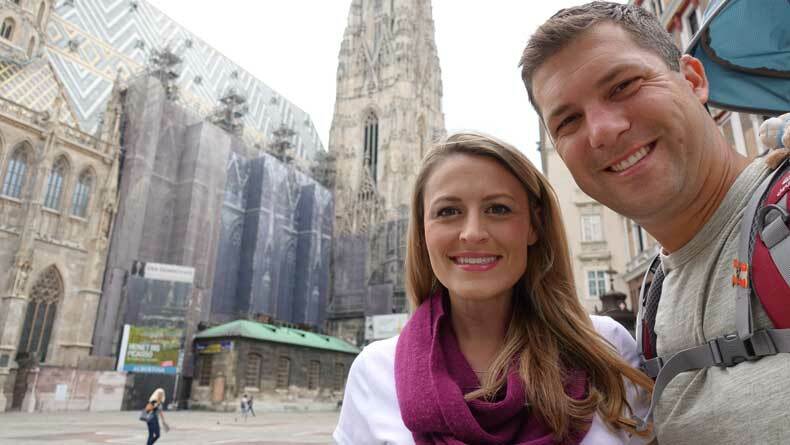 Here is a look at what you can feasibly see in Vienna in one day. Any solid one-day itinerary for Vienna should start with breakfast and a strong cup of coffee (especially if you take my advice and get an early start to your day). Naschmarkt is the perfect place to start your one-day Vienna itinerary. 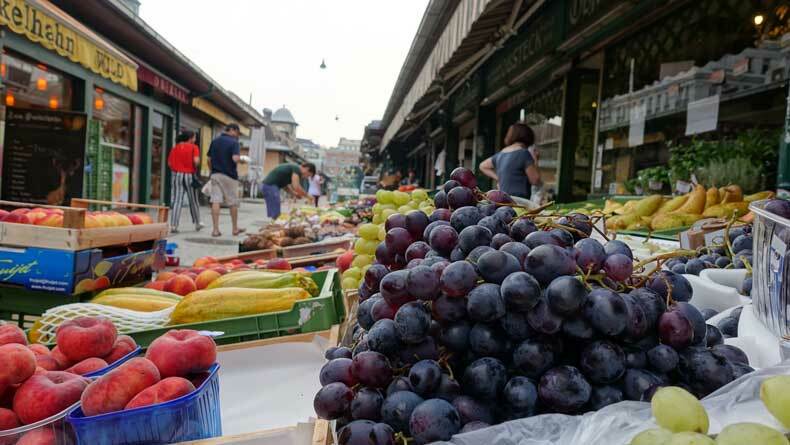 Begin with breakfast at the Naschmarkt where you will find a variety of restaurants and vendors selling produce, meats, and fresh baked breads. In the morning, its fun to get there early and watch the market workers lay out the fresh fish and other daily specials. By evening, this is a bustling area with tourists and locals alike coming to enjoy dinner, a glass of wine, a light snack, or dessert. If you start your day early, chances are you won’t get to go inside the State Opera House. Since it is one of the most famous opera houses in the world, visiting it requires you to book a tour. However, guided tours do not start until 9 a.m. so unfortunately, we missed out on seeing the inside. While we didn’t get to see the inside, the exterior of the building is beautiful, as well. 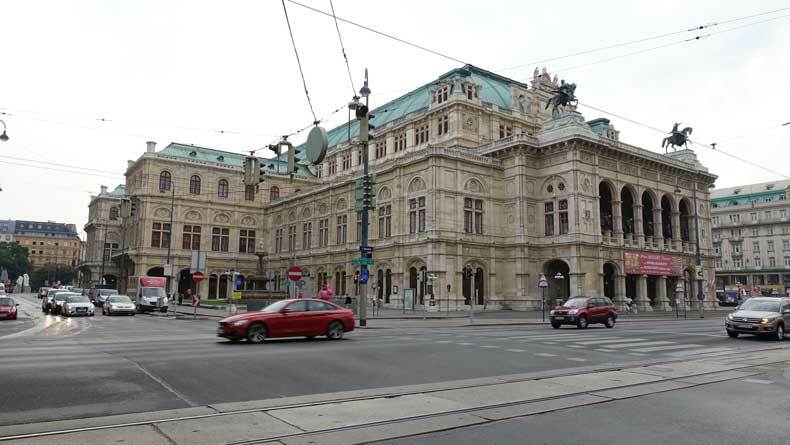 Although the opera house was still closed when we stopped by at 8 a.m., you could always fit this into your afternoon if you stay at Hotel Beethoven Wien or one of the other hotels in the area. The opera house was just a short walk from our hotel. The next experience made up for missing out on a guided tour of the opera house though. From the opera house, we walked down Karntner Stasse, which is a bustling shopping district when everything is open and made our way to Stephensplatz. This area is usually SWARMING with tourists. But we were some of the first people there. There’s just something magical about getting to experience a city before the throngs of other tourists or even the locals descend for the day. We arrived at St. Stephens Cathedral right as it opened and got a rare glimpse of this magnificent church while it was empty. You can climb the spiral staircase to the top — a total of 343 steps and enjoy the serene view with way fewer people pushing their way in for a selfie. If you are lucky and get there right when they open you may even get the viewing platform at the top all to yourself. After you climb the tower at St. Stephen’s Cathedral head around the corner to Mozart’s House. This is where the esteemed composer lived and produced some of his most famous masterpieces. Mozart’s House is one of the must-visit attractions in Vienna for music lovers. 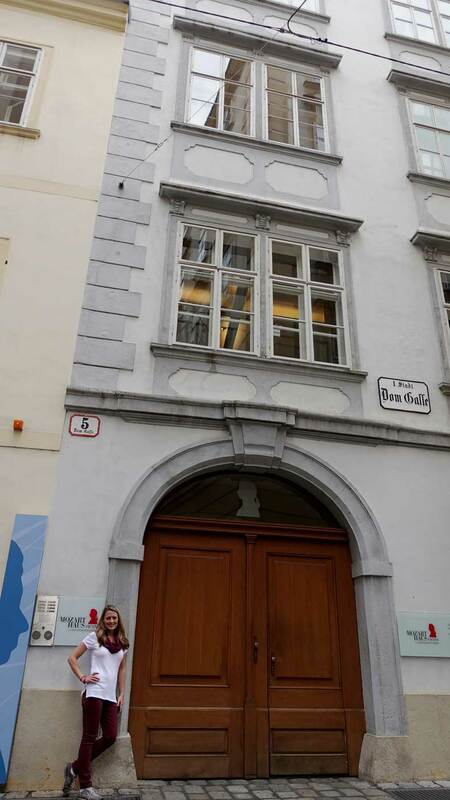 You could easily walk right by Mozart’s House without realizing what it is since the outside is somewhat nondescript. But it’s worth a quick tour, even if you have only one day in Vienna. It will be especially interesting if you are a lover of music, the arts, or history. They also have special audio guides for kids to keep them more entertained. 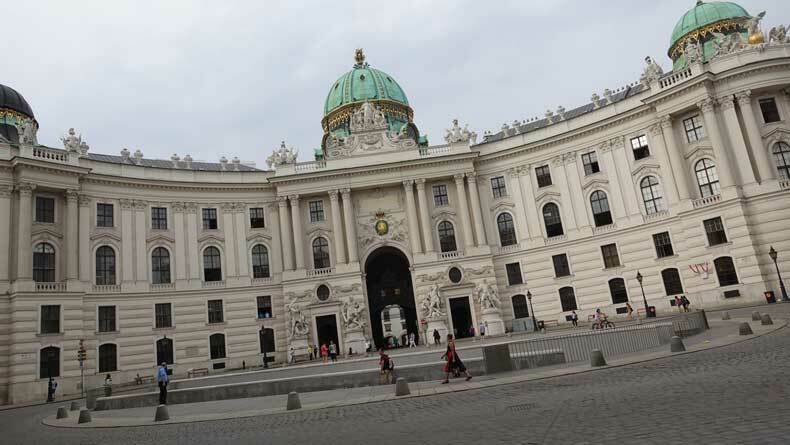 After visiting Mozart’s House, head toward Hofburg Palace. On the way, pause and appreciate the Plague Pillar. 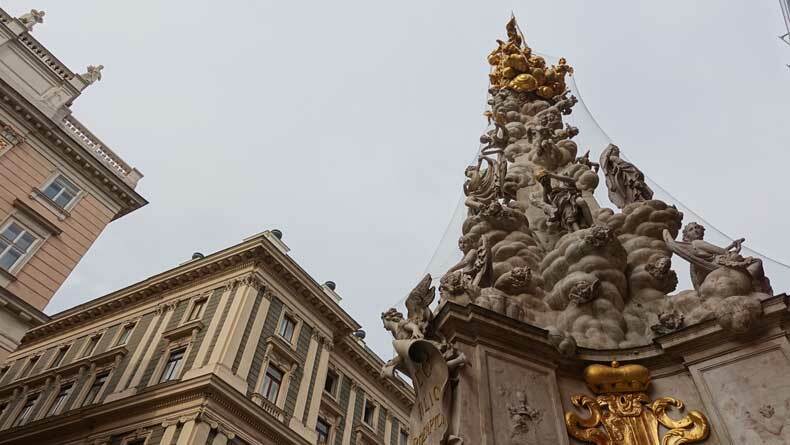 In the late 1600’s, Emperor Leopold I vowed to build a pillar of gratitude to God if the Lord would spare Vienna and end the plague that was killing so many people. The pillar is interesting and intricate and has a neat backstory. But take your time to really study this sculpture. There is so much detail in this piece of public art, and it really does tell the story perfectly. Another quick stop on the way to the palace is St. Peter’s Catholic Church… If you like visiting churches in different cities, as I do, you will enjoy your visit to St. Peter’s Cathedral. It is beautiful on the inside, and small enough that it doesn’t take much time to visit. It is also free to visit making it all the more appealing! Hofburg Imperial Palace is huge. You could spend hours touring the palace, reading about the history, and exploring the gardens and grounds. There is a large courtyard with a small cafe if you want to get a coffee, a snack, or even lunch. Coffee in Vienna is fantastic, and you will definitely need a cup by this point in your day. 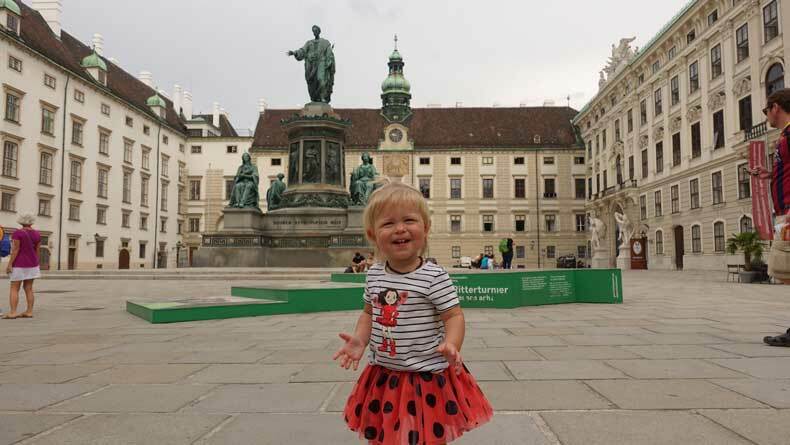 The courtyard at Hofburg Imperial Palace is a great place for kids to run around if visiting Vienna with children. We spent a couple of hours at the palace, although you could spend more if you have more than one day in Vienna. Our daughter enjoyed running around the courtyard and the gardens. I enjoyed learning about Empress Elizabeth to whom I could completely relate. She loved to travel, just like I do, and was murdered during one of her many trips she took alone. The self-guided tour of the Imperial Apartments gives you a glimpse into the lives of royalty more than 600 years ago. A leisurely stroll through the Volksgarten is a great late morning break from all of the sightseeing packed into this itinerary. If you’re traveling with kids, Volksgarten gives them plenty of green space to run around and burn some energy. 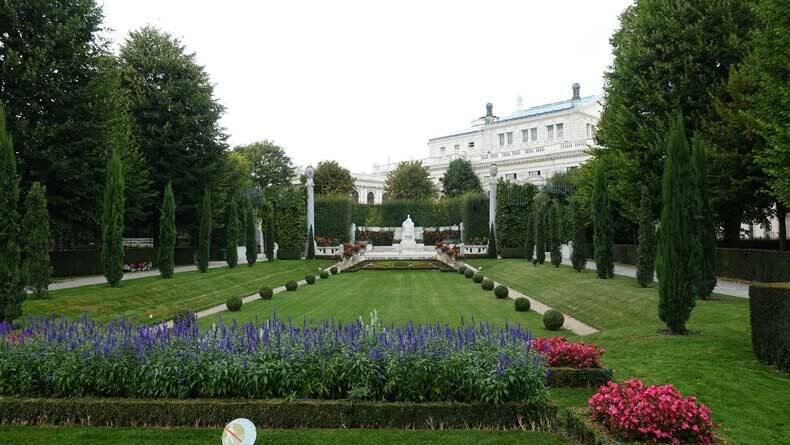 The Volksgarten was the first public park in Vienna and houses the famous rose garden, which contains more than 3,000 rose bushes of hundreds of different varieties. By this point in the day, you will probably start to get hungry. Rathuesplatz is just a short walk from the Imperial Palace. On a nice day, it’s great to sit outside the beautiful neo-Gothic city hall and have lunch in the plaza.There are numerous vendors selling crepes, bratwursts, and various types of cuisines. While you’re there, have a radler, a refreshing drink that is half wheat beer/half lemonade. The funny thing about traveling with a toddler is not only do you wake up early, you also need to make sure they get a good nap or else you will deal with the wrath of a two year old later in the day. After our lunch we started our walk back to the hotel. The museum quarter is on the way, so if you aren’t dealing with a fussy toddler, spend the rest of the afternoon enjoying the museums. A good one for kids is the Natural History Museum. After our daughter’s nap (and ours… remember the cardinal rule of parenthood: sleep when your baby sleeps), we headed to the Prater. From our hotel, we needed to take the subway to get there, but it was only about a 10 minute ride and a $2 charge. 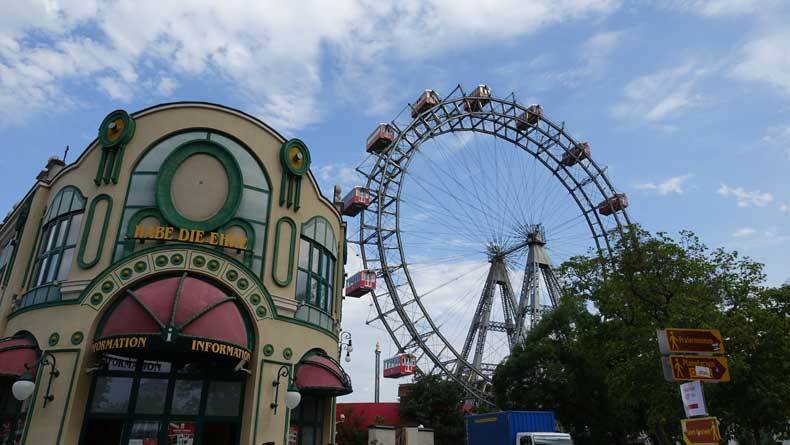 The main attraction at the amusement park is the Giant Ferris Wheel, which is one of Vienna’s most famous symbols. The Prater is fun if visiting Vienna with kids but I’d visit Schonbrunn Palace instead. A word of advice: skip it! If you’ve ever been to the London Eye, this Ferris Wheel will seem neither giant nor impressive. The park pales in comparison to theme parks in the United States, too. But if you have kids who are a little older (5-10 years old) who are tired of sightseeing, I guess the Prater would suffice and keep them entertained for the afternoon. Afterward, we took a stroll along the river, before heading back toward the hotel for dinner and our toddler’s bedtime. If you decide to skip the Prater, head to Schloss Schonbrunn Palace instead and visit the children’s museum, the maze, and the labyrinth playground. Kids can play, climb, and even challenge their mind with puzzles. Even adults will enjoy the labyrinth playground. If you have more than one day in Vienna, spend some time in the museums and visit Belvedere Palace on day two. 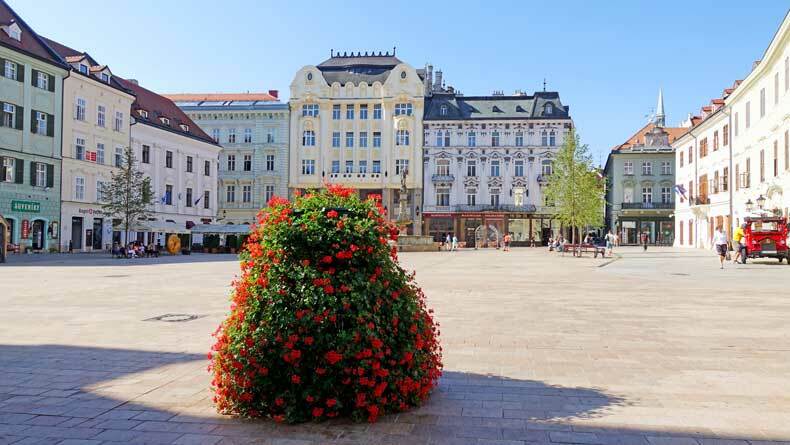 If you have more than one day in Vienna take a day trip to Bratislava, Slovakia. 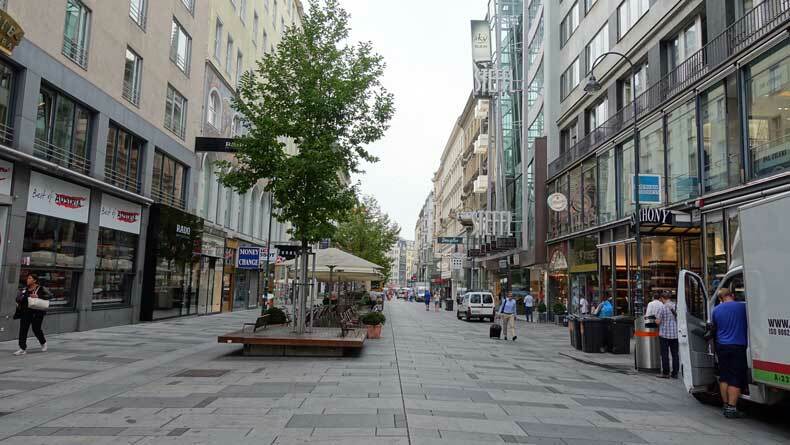 From Vienna, you could easily take a day trip to Bratislava, Slovakia, as well, which is only an hour’s drive. Bratislava’s Old Town is absolutely charming. Kids will enjoy finding and posing next to all of the fun statues around Old Town, and the food is definitely worth trying. Need even more more information? Here’s a great itinerary for two full days in Vienna – including some awesome restaurant and food recommendations! Have you been to Vienna? What would you recommend to include in an itinerary for one day in Vienna? I’ve never been to Vienna so this is great – you’ve covered so much. I would love to see Mozart’s house and the rose garden sounds amazing! Thanks! Vienna was awesome. My husband wasn’t as big a fan. He likes smaller towns and villages way more than big cities, but I loved it! Great info!! I have Vienna on my list for 2017 so this is perfect timing. That crepe looks to die for – I think I need ten of them 🙂 Bratislava’s Old Town looks amazing too, assuming the pic above the piece about it is of that. I love any place with a lot of color! Thank you for sharing. Yes, that is a pic of Bratislava’s Old Town (maybe I should caption it?) .. eventually, I will get around to writing a post about it. But it is definitely worth the day trip to Slovakia from Vienna. It’s awesome. What a fun day! Did you try the Sacher torte? I saw a show about it yesterday and now want to go to Vienna to try it! We didn’t!! I didn’t even know about it until we got back home. I guess that’s an excuse to return soon! I hate when that happens!! Happened to me in Bangkok. I was so focused on the Hello Kitty cafe that I didn’t research the others and they had a unicorn cafe!! My daughter would have been in heaven. WOW! Thats a lot to do in one day and to have a toddler with you at the same time too! 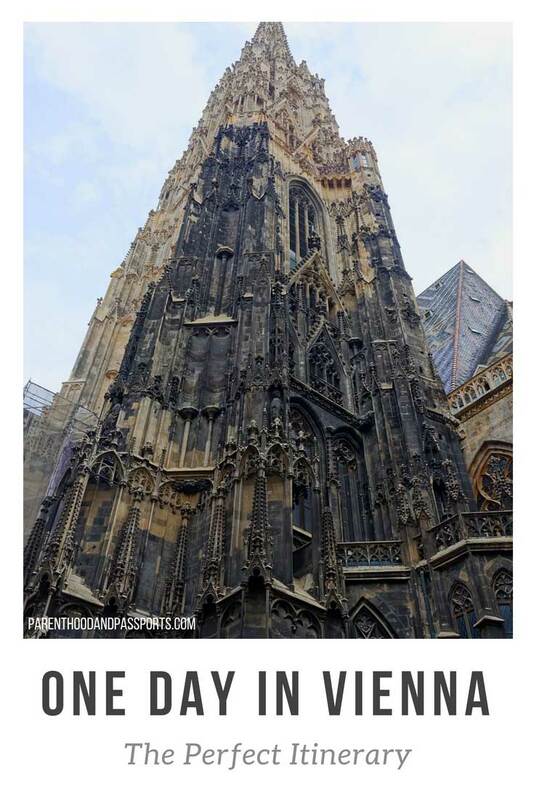 I would love to go and climb the 343 steps to St. Stephens Cathedral! Getting up early is probably the best thing to do if you want to skip the masses and get great photos. This is the one thing I always curse myself for not doing haha! We just got back from Vienna and made the climb! It’s actually only half way up to the top! 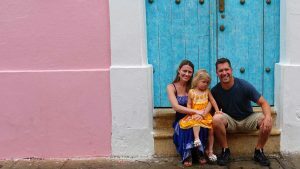 I don’t have a kid yet but I have traveled with my sister’s family. She has a 3-year old son. You are right that they should definitely take a nap or else they will be loud and feel miserable. I love crepes. Is that Nutella crepe? I want it to be really crispy. You look like that you enjoyed your trip to Vienna. I would also love to visit it someday. 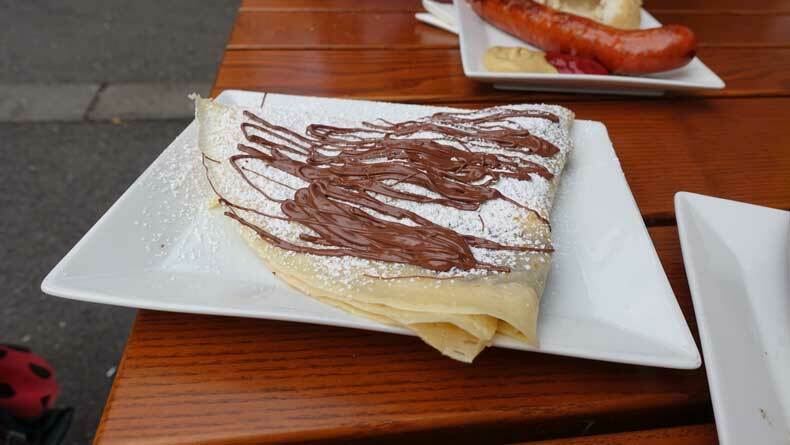 It is a Nutella crepe! My favorite, and something I only have when in Europe. I love exploring European cities. So much intricate work is taken on these buildings. I’m now tempted to go to the Plague Pilar! 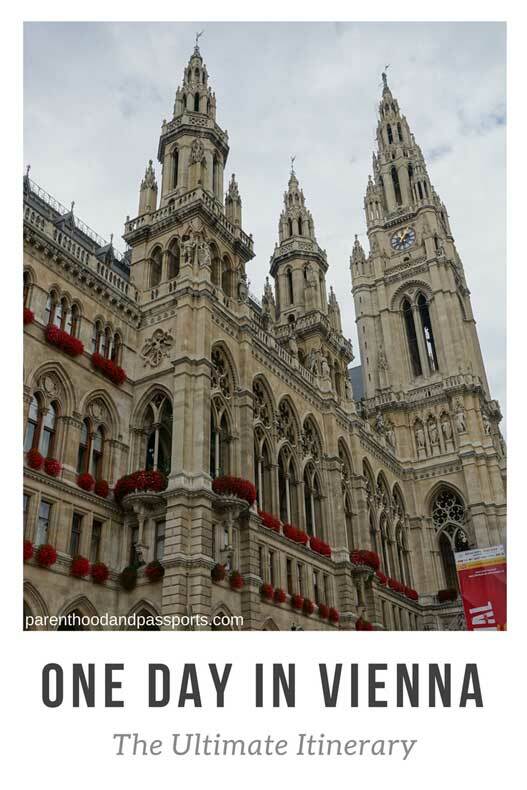 I’ve never been to Vienna, but this is a good guide to tour around Vienna for a day especially with a kid. I can see some sausage around the table, hmm hungry! I heard they good at hotdog? The food is great and yes, you can find so many different types of sausage just about anywhere in Vienna. Vienna is amazing. We actually spent a weekend there, but we saw the most on day 1 and then relaxed, wandered around and took our time on the other days. I’ve always thought that I would love Vienna! I’m definitely going to save this itinerary in hopes that I can use it one day 🙂 Your pictures make the city seem gorgeous. Did you visit Schonbrunn? It was my favourite! I liked the museum quarter as well…. and the tour to the opera was so good! Not on the first day. It is definitely the best for kids, too, in my opinion.